Admiralty Brass Tubes is a Copper-Zinc Alloy and contains a small amount of tin and arsenic as well. These admiralty brass tubes are renowned for their characteristic of superior corrosion resistance in a moderately polluted river water and clean seawater, both stagnant or slow moving water. The most common and wrought form is a tube for heat exchange equipment. These tubes are extensively used in various applications including; evaporators, condensate coolers, heaters, vent condensers, water heaters, generator, air coolers, turbine oil coolers for petrochemical, ship-building, power plants, desalination plants etc. 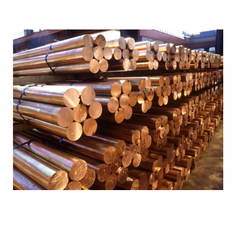 Moreover, Admiralty brass, which constitutes of 30% zinc and 1% tin & inhibits dezincification in most environments, is extensively used the material in manufacturing tubes for the transportation of liquids in the coolers and evaporators. Few of the characteristics that are required by this industry include; high thermal conductivity, light weight, strength, corrosion-resistance tube, long lastingness & durability. 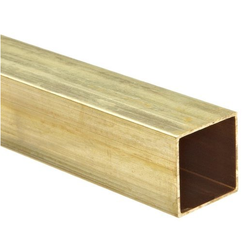 In order to comprehend and fulfill the assorted demands of valued clients, we are able to offer an unparalleled assembly of Brass Rectangular Tube. This range is developed utilizing superior grade raw material, sourced from authentic vendors of the market. In addition to this, the offered range is available in different specifications and is highly appreciated in the market for its features. We are offering Brass Rod IS 319 Grade 3 to our clients. The range of Brass Rods manufactured by us is valued for its excellent cutting & drilling performance, high conductivity, and corrosion resistance. 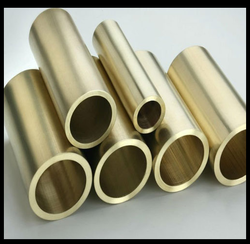 These brass tension rods find applications in various sectors mentioned below. 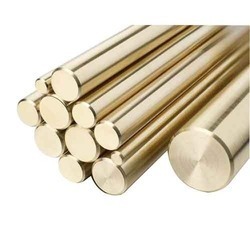 We are actively engaged in trading, retailing, wholesaling and supplying an excellent range of Aluminum Bronze Rods. The offered rods are provided to our customers in diversified thickness and sizes.Our provided rods are manufactured by using superior quality raw material and the latest technology at vendors’ end in line with industry norms. In addition to this, these rods are highly praised in the market for their various quality attributes. 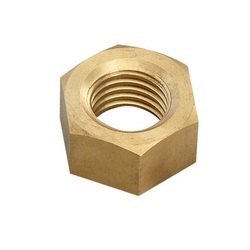 To gain strong foothold in this industry, we are devoted to offer a wide gamut of Brass Fasteners. Extensively used for high speed machining, these fasteners are manufactured using superior quality raw material and innovative technology. Highly demanded in the market, these fasteners are tested by quality examiners on various parameters. Moreover, these fasteners are available for the clients’ at nominal prices. 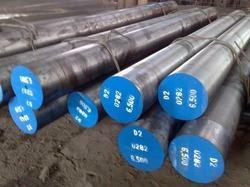 We are engaged in offering a wide range of Cold Work Tool Steel. Our offered cold work tool steel products are precisely engineered using best available techniques. Furthermore, these are subjected to several tests to deliver defect free products. Looking for Brass Rod ?